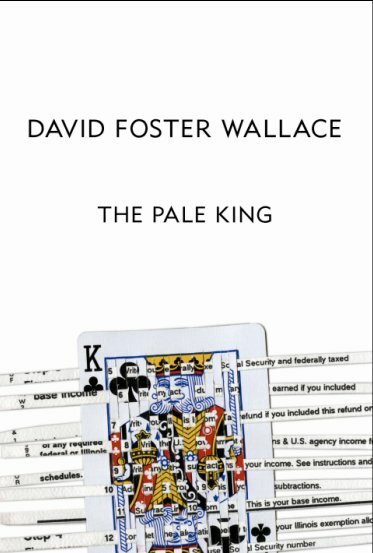 Indeed it is unfair that the literary world lost one of its most unique and inspiring voices when David Foster Wallace committed suicide in 2008, but he may still have something to teach us. At the time of his death, Wallace had been working on a novel with which he had struggled for nearly eight years. He had speculated in 2007 that only about a third of the manuscript was completed. Before he died, Wallace organized what he could of the work for his wife, Karen Green, and left it where she would discover it. The New Yorker reports that there “were hundreds of other pages—drafts, character sketches, notes to himself, fragments that had evaded his attempt to integrate them into the novel.” All in all, there are about a thousand pages to the work, but Wallace’s widow and his editor at Little, Brown, and Company, Michael Pietsch, speculate that the published version will likely be about four hundred. The release date of April 15, 2011 is probably tongue-in-cheek, for this is Income Tax Day and the novel is about “an evil group within the I.R.S. [that] is trying to steal the secrets of an agent who is particularly gifted at maintaining a heightened state of concentration.” Commenting on the theme, editor Michael Pietsch explains that the novel “takes agonizing daily events like standing in lines, traffic jams, and horrific bus rides — things we all hate — and turns them into moments of laughter and understanding.” Karen Green, Wallace’s widow, has designed the cover art. I started reading DFW about a year before he lost his grip on this time around. I immediately sensed a kindred spirit about a great deal of things, mostly with regards to his wide ranging interests. His book Everything and More changed my opinion about some mathematical history and gave me new hope that my opinions about the history of abstraction where not irrelevant.